The Camino is full of so many amazing experiences. You never know what is just around the corner – it is always an adventure! Interesting people, incredible and beautiful scenery – amazing food and wine – all making the for a personal, unique and memorable camino journey. If you love music and concerts you might enjoy a little music on the Camino if you are near Palencia. 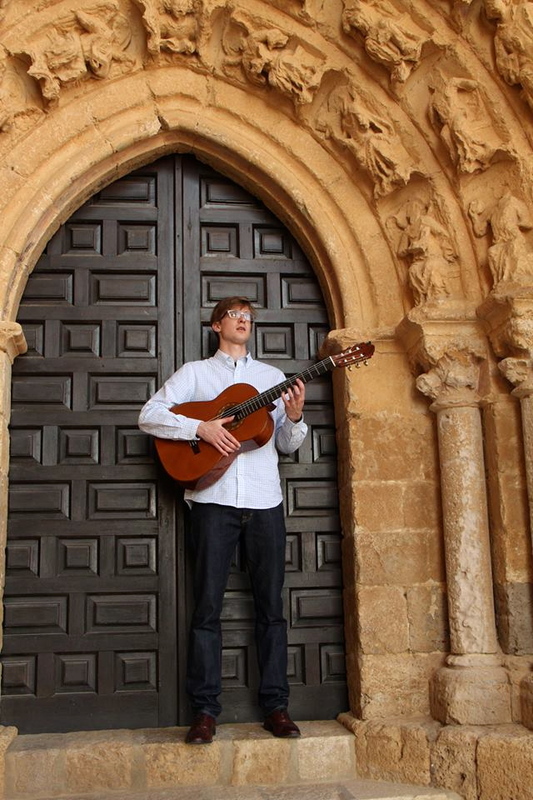 “You are invited to a beautiful concert by American guitarist Ian Tuski in the province of Palencia Sundays Wednesdays Fridays and Saturdays from now until July 15. 7PM. Always free to peregrinos! Just look for the signs.” – Frederico Sheppard for sharing this wonderful opportunity. This entry was posted in Camino Inspirations! and tagged camino, music, The Way. Bookmark the permalink.